Detail of the goddess Asteria from a painting depicting a company of goddesses. 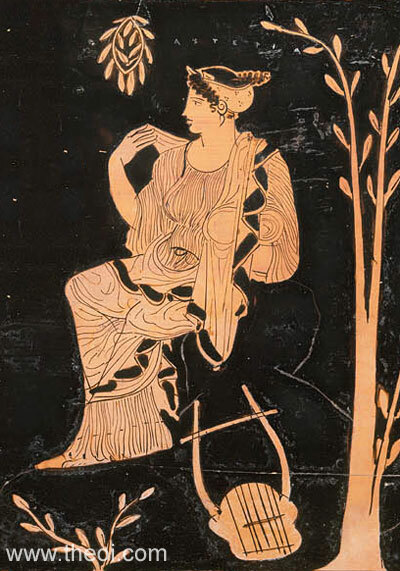 Asteria is seated on a rock beside a tree with a lyre and wreath of laurel at her side. These are perhaps her attributes as the personification of the island of Delos and nurse of the god Apollo.